Blog > News > Cutest baby alpacas ever – and super soft sale bargains! Cutest baby alpacas ever – and super soft sale bargains! You know how much we love alpaca yarn here at LoveKnitting HQ, so we’ve included some fabulous bargains in our sale! Merion has a rummage for the best alpaca bargains. Along with cashmere and mohair, alpaca is known as one of the ‘noble’ fibres. The Incas called it the fibre of the gods for good reason – not only is it luxuriously soft, it is hardwearing, breathable and hypoallergenic, making it a perfect choice for anyone with sensitivity to wool. Baby alpacas (called cria) are just about the cutest little poppets in the entire yarn world. Lambs are sweet, and we’re sure that baby yak must have their charms – but look into the long lashed almond shaped eyes of a fluffy little baby alpaca and you’ll melt! When you knit with alpaca yarn, or with a blend, you will notice the lightness of fibre. It’s a great choice for warmth without the weight of wool, so if you prefer your knitwear super warm but not too weighty…. come and explore our alpaca yarn in the sale! Rooster Almerino Baby is the most delicious blend of 50% alpaca, 50% merino wool – double the softness with some extra bounce from the merino. This gorgeous sport weight baby yarn has 30% off in the sale, and the vintage flavoured shades include (below) Sandcastle (503), Seaweed (504) and Candyfloss (505). Now for something really special, there is 30% off Misti Alpaca Allyu Overdye Aran, the most extraordinary alpaca yarn from the base of the Misti Volcano in Araquipa, Peru. Four generations have made these beautiful alpaca yarn ranges, famous for warmth without weight. This aran weight yarn is the perfect choice for a gorgeous scarf or cardi, jacket, hat – you name it. Just look at the way the hand painting produces colour shots throughout the yarn! Independence (OW45), one of ten delicious shades to choose from! The Rowan Felted Tweed yarns, both DK and aran are in the sale – two of my most favourite yarns. There is something about these gently tweed flecked, semi-solid shades that makes them irresistible – for cardigans, jumpers, jackets and homeware – the blend of merino wool and alpaca makes this yarn super soft and warm, and it’s glorious on the hands as you knit. 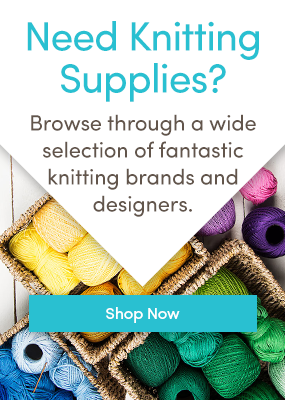 Explore our fabulous alpaca yarn in the sale and stock up before it’s gone! Last updated: July 14th, 2016. One Response to Cutest baby alpacas ever – and super soft sale bargains! Hi, Merion! I am the person who commented about a week ago because I could not see pics in specifically your recent posts—but now with this blog entry the pics are all showing again! = ) Thanks! Just in case you are doing something different now, I wanted you to know that it seems to be working! Have a great week.